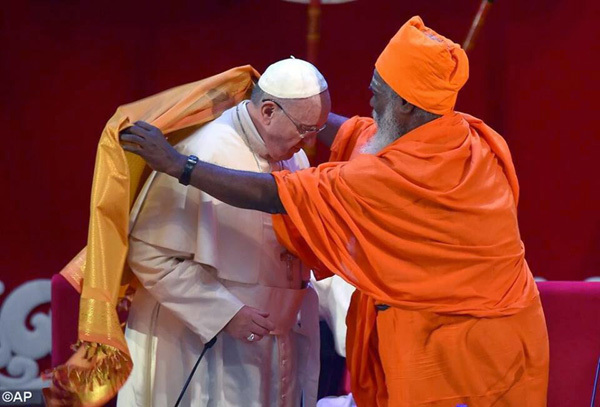 Under the pretext of promoting peace in Sri Lanka after around 25 years of religious war on that Island, Pope Francis took advantage of his recent visit to stress the indifferentist character of his pontificate. 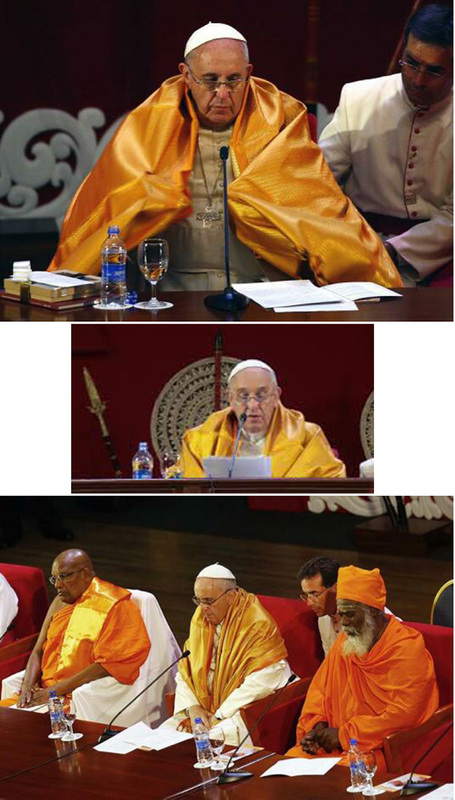 Indeed, on the stage of the inter-religious meeting held in Colombo on January 13, 2015, he was solemnly invested with a saffron shawl, which is a way the Hindu sect of the Tamil Tigers pays homage to those who support its beliefs. 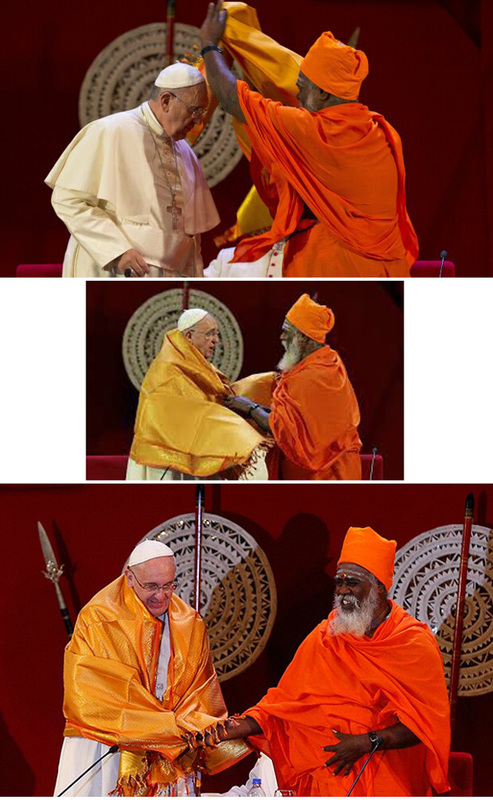 Bergoglio remained wrapped in that pagan symbol for the rest of the ceremony as he delivered his speech, last two rows. Let us not forget that the same Francis refused to wear the papal mantle as soon as he was elected Pope, qualifying it as "carnival" apparel. It is quite difficult not to say that, by means of symbols, he incurred the condemnation of religious indifferentism issued by the Popes previous to Vatican II.